Ukrainian for complete beginners! 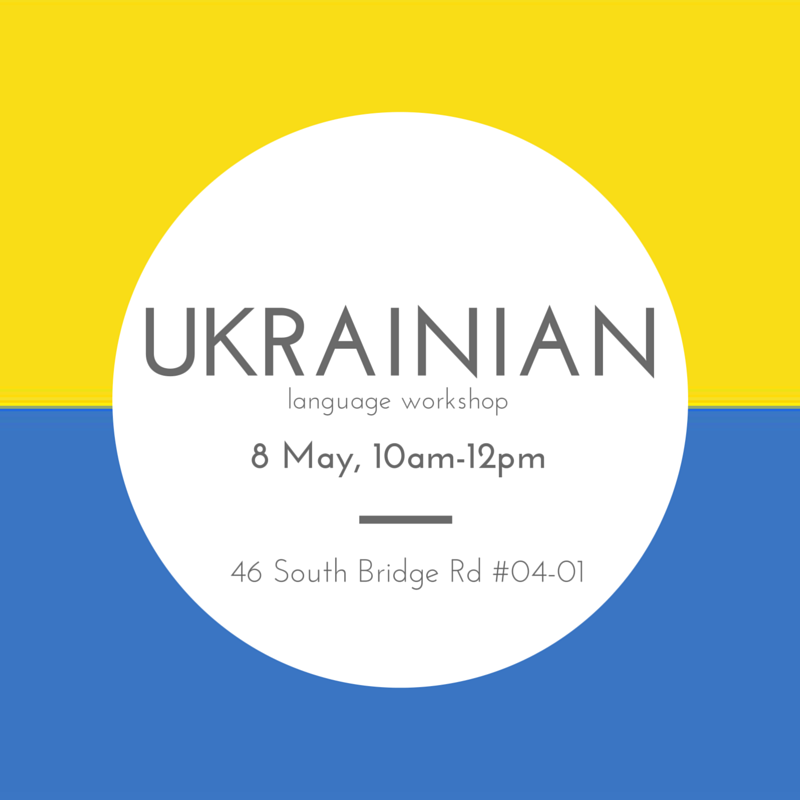 Two hours language&culture workshop for those who are travelling to Ukraine and want to know some basic words and for those who are just interested in a new language to learn. You will learn simple words and find out more about Ukrainian food and culture. This workshop is useful for those who learn Russian with us as well, as you will learn about the differences between two languages. Fees: 40 SGD (for current RLC students 30 SGD).